A.C.E Continue the World Tour to Europe! Yesterday (12/20) Mymusictaste announced that A.C.E will be present in Europe in February and March next year. A.C.E just finished its concert titled A.C.E World Tour: To Be An ACE in Japan, America and Latin America in early December. However, fans of A.C.E, Choice have suspected that A.C.E will be present in Europe through an update listed on the mymusictaste page. 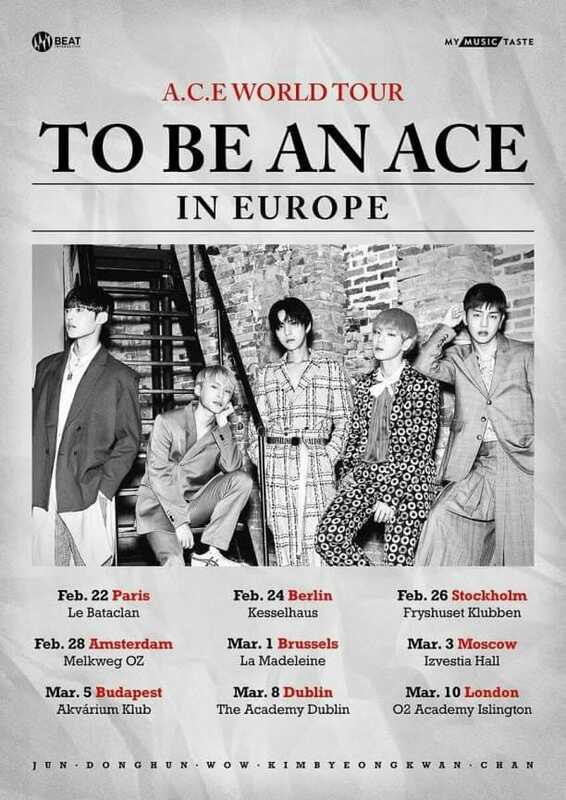 A.C.E will be present in 9 European Continents, namely France, Germany, Sweden, the Netherlands, Belgium, Russia, Hungary, Ireland and the United Kingdom. This European tour will begin on February 22 and end on March 10. What kind of interesting treats will A.C.E display on a European Tour? Let's look forward!